Tips: If you plan to go up to the Observatory of N Seoul Tower, you may want to book your admission ticket online first because of LONG QUEUE at ticket counter can be during PEAK HOUR in the evening. N Seoul Tower / Namsan Tower, one of the top attractions in Seoul. 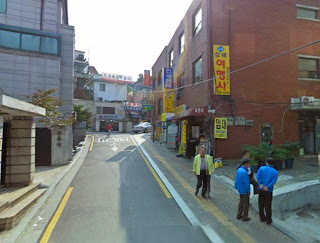 The easiest way to go from Myeongdong Station to N-Seoul Tower is to take the Namsan Sunhwan Shuttle Bus No. 5 from the bus stop at EXIT 3 of Myeongdong Station. This is how the bus looks like. Notice that this is a circular bus that will take right to the base of N-Seoul Tower. 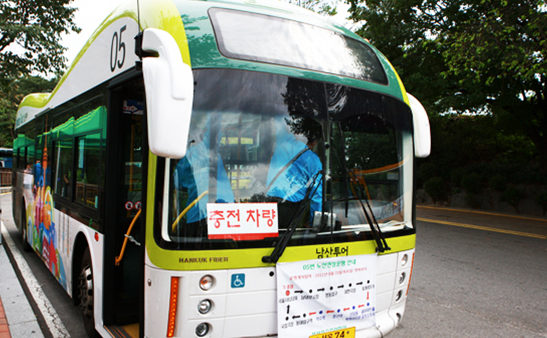 In other words, you do not need to take Namsan Car Car if you use this bus to go to N-Seoul Tower. Namsan Sunhwan Shuttle Bus operates from 7.30am to 11.30am at night, with the waiting time of about 15 minutes. For those people who stay near Chungmuro Station, you can also take this bus to N-Seoul Tower at EXIT 2 of Chungmuro Station, in front of Daehan Cinema. The bus ticket fare for Namsan Sunhwan Shuttle Bus No. 5 is KRW1,200 (pay by cash) or KRW1,100 (pay with T-Money card). 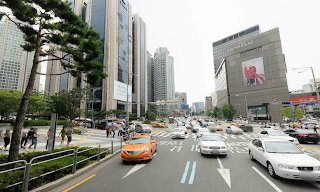 If you can walk in slightly uphill street for about 10 to 15 minutes, then follow this option: Just walk from Myeongdong Station EXIT 3 to Namsan Cable Car Station. Here is how. Once arriving at Myeongdong Station, get out from the station through EXIT 3. You should be able to locate a 7-11 convenient store in front of you. Walk ahead and when you arrive at the Pacific Hotel, choose the right hand side alley and continue to walk ahead. 7-11 on your left, go straight into this street. 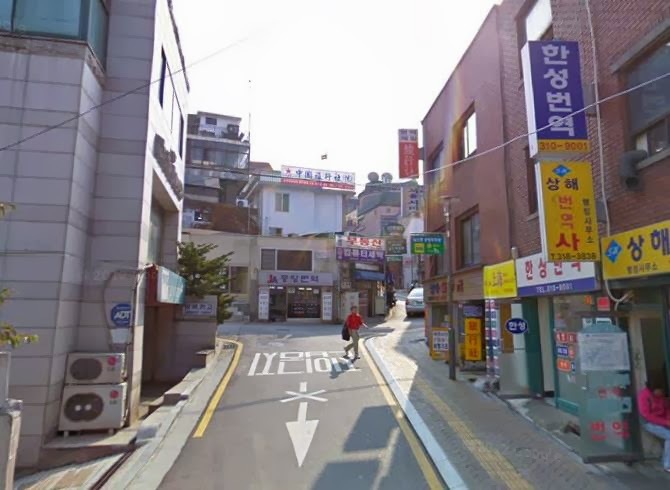 Go straight into the street with 7-11 on the left and keep walking straight (going uphill at some part) for about 5 minutes until a small junction where you need to turn right briefly (walk a few steps) and turn left before continue going straight (like the car below). The next part of the walk is getting more uphill and can be quite tiring. make sure that you wear good walking shoes. 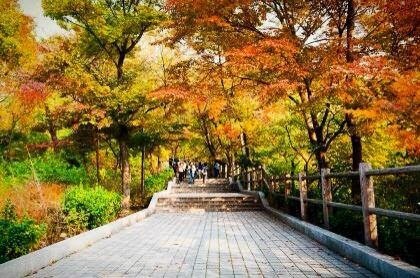 Keep walking until you reach the Namsan Cable Car Station. 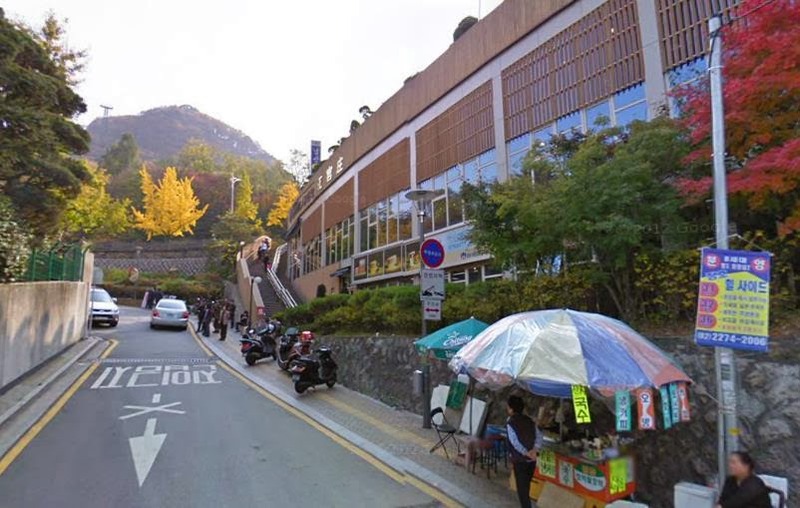 Arriving at Namsan Cable Station - Climb up the staircase on the right to go up to the station. That's it! You have successfully arrived at Namsan Cable Station from Myeongdong Subway Station! The next step should be easy as the Cable Car will take you to Namsan Park. The fare for cable car is KRW6,300 won for round trip and KRW4,800 one way. The cable car operate from 10:00am to 10:30pm daily. 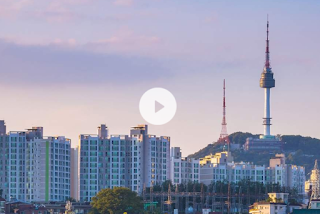 Apart from the 10 minutes walking from Myeongdong Station to the Namsan Cable Car, the visit to Namsan Park and N Seoul Tower should be quite relaxing and fun! After turn left at this intersection, just go straight for another 300-400 meters and you will see the Namsan Oreumi Elevator, which looks like below. It is located before a toll collection station for highway. Just take the Namsan Oreumi Elevator to go straight to the Namsan Cable Car Station and take the cable car to N-Seoul Tower! Namsan Oreumi (Elevator) to go to Namsan Cable Car Station. 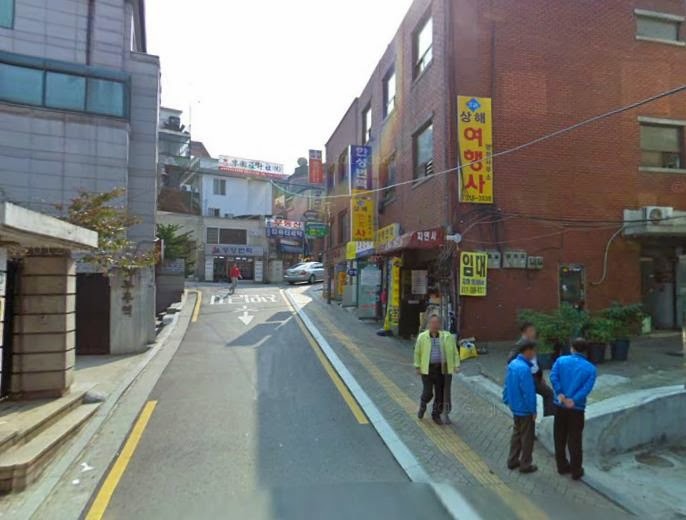 Here you are, three options to go from Myeongdong Station to N-Seoul Tower. 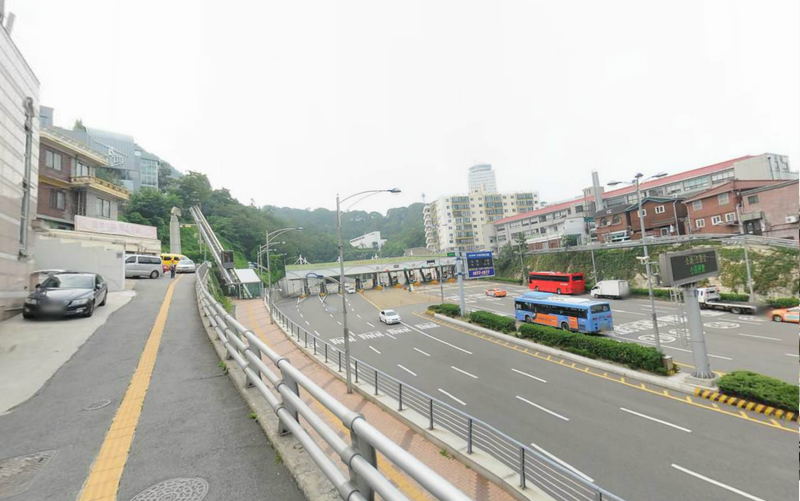 If you don't mind a bit of waiting, take the Namsan Sunhwan Shuttle Bus in Option 1. 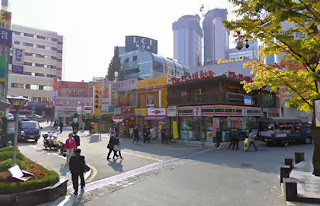 If you are up to a bit of uphill walking and exploring the Namsan neighbourhood, you can just walk for 10-15 minutes from Myeongdong Station EXIT 3 to the Namsan Cable Car Station using the route in Option 2. Lastly, you can also skip the uphill walking by using the Namsan Oreumi Elevator in Option 3. Regardless of which option you take, remember to enjoy the beautiful Namsan scenery along the way and enjoy the memorable moments at the romantic N-Seoul Tower. 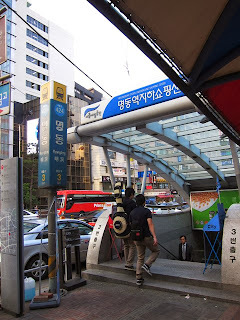 Besides way to Namsan tower that you mention above there are 2 way to reach Namsan tower ,by bus and by namsan oreumi elevator...how the direction of that mode trasportation from myeongdong station ? Yes, the round trip ticket is now KRW8500 round trip for adult and KRW5500 for children. And now. KRW9500 ROUND TRIP ADULT. KRW 6500 ROUND TRIP FOR CHILD. 1000x thanks really helpfull for solo backpackers like me...pasti boleh!!! can i take taxi up to the hill? This is awesome! I can't wait to do my own little adventure this coming week! Thank you for the detailed information! You are welcome. Enjoy your visit to Myeongdong! No this is a different route than Names Oreumi elevator near Hoehyeon intersection. You can use either route to go to the cable car to N Seoul Tower. That's great! 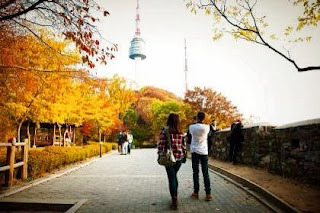 Enjoy your trip and enjoy Namsan Tower! thank you so much for this great inputs, we will love to see this place in april! thumps up! Hey where can I buy tickets for the cable car? How cold will December be? We are booked from December 1 to 7, 2017. Welcome to freezing December in Seoul. Last year we had around 5 to -5 degree Celcius during that time. There are many beautiful scene to see in December like in Nami Island (Winter Sonata) and white Christmas view from top of N Seoul Tower. Can we take Bus No.5 from N-Seoul Tower back to Chungmuro Station? Thank you! Yes, you can take bus No. 5 from N-Seoul Tower because the bus go in circle (from N-Seoul Tower to Chungmuro Station / Myeongdong Station back to to N-Seoul Tower). do u know how much taxi cost from myeongdong to Namsan tower? It depends on which part of Myeongdong you take the taxi, but it should not be expensive because the distance is very near. 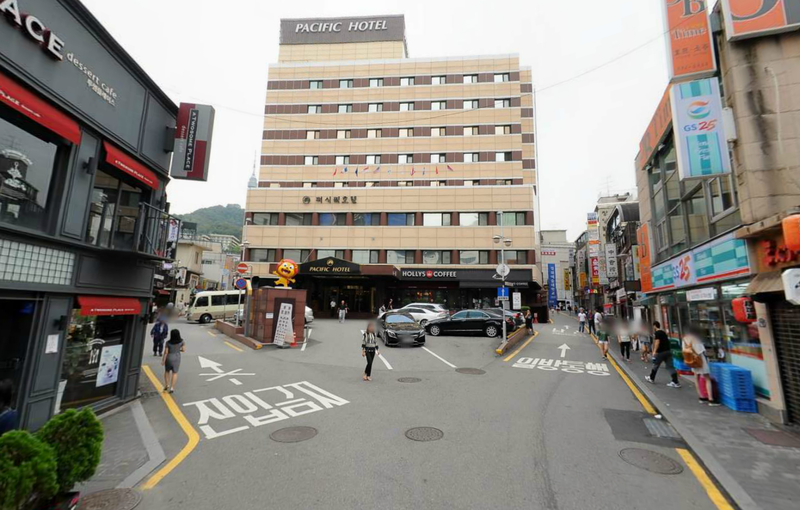 I I be staying at the Myeongdong Guest House Como, 12 Toegye-Ro, 24-Gil, could you guide which is the easiest option, AREX or Airport Bus. I dont want to walk much carrying my luggage, looking forward for your reply. 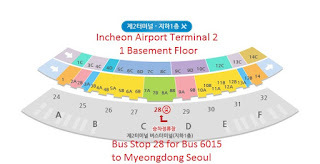 Taking airport bus 6015 to Myengdong Station bus stop will require less walking compared to AREX. Upon arrival at Myeongdong Station bus stop, you have to cross the road using zebra traffic light to go to Myeongdong Guest House Como. I'm planning to be at N Seoul Tower by Jan 29, 2018. Would it be a good time to go there? Yes, there is something special to view from N Seoul Tower all year round. It is most probably still winter end of January so you can enjoy winter view from N Seoul Tower.